Exchange rate movements have important implications for survival patterns, particularly for exporting firms in developing countries where exchange rates are more volatile compared to the developed world. Real exchange rate movements are thought to act like tariffs in how they affect survival behavior by altering firms’ competitive positions in both domestic and international markets. In this context, real exchange rate appreciation acts as an increase in foreign tariffs, creating a cost disadvantage for domestic producers in the export markets and raising the level of competition. Consequently, the least productive firms exit the market. For the case of a developing country, the impact of exchange rate appreciation on firms survival is expected to be larger as transactions are generally not hedged because forward markets are not accessible to the bulk of the traders. The micro-level empirical research in this line of research has mostly concentrated on analyzing the effects of currency variations on firms’ survival, particularly for developed countries due to the lack of data in developing countries. Using a unique firm-level dataset, compiled by the Central Bank of Turkey, we test the impact of currency appreciation on the survival behavior of Turkish firms in the manufacturing industries for 2002-2009. Our results indicate that a 1% real appreciation of the Turkish Lira with respect to currency basket, composed of equally weighted US Dollar and Euro, for a given firm decreases the probability of survival by 5%. In comparison to previous empirical studies covering developed countries, such as Baldwin and Yan (2012), Berman et al. (2012), the impact of currency appreciation on the Turkish firms’ survival is much higher. This can be considered as evidence of relative vulnerability of firms in a developing country. We also find evidence that the high productivity firms have higher probability of survival than the low productivity firms in the presence of exchange rate variation. From an economic policy point of view, these results emphasize the danger associated with a domestic currency appreciation following a surge of capital inflows and relying on internal demand, through the expansion of domestic credits, as the main driver of economic growth. The case of Turkey constitutes such an example, with its highly volatile GDP growth depending on the intensity of capital inflows (see, for example, Akat and Yazgan (2012)). Especially in a resource constrained emerging market economy such as Turkey (due to low domestic savings), tradable sector, given its capacity to create foreign resources, should play an important role as the engine of a sustainable and employment creating growth. However, the evidence presented in this paper indicates that continuing appreciation of domestic currency may have detrimental effects on the development of resilient and strong tradable sector firms. Akat, Asaf S., and M. Ege Yazgan. 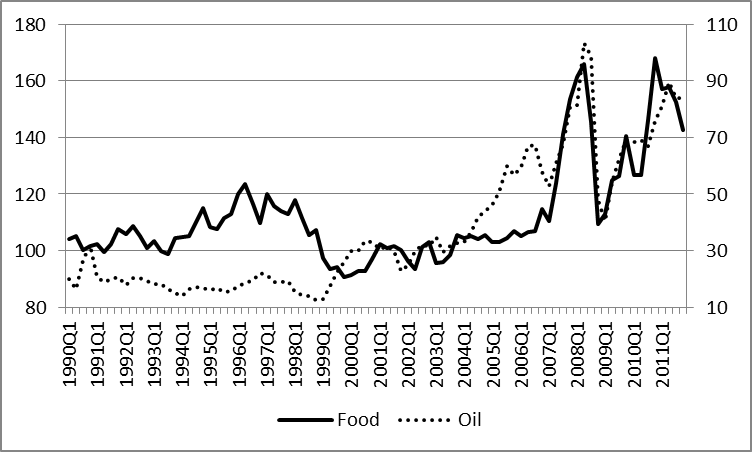 (2013), “Observations on Turkeys Recent Economic Performance”. Atlantic Economic Journal, 41(1):1-27. Baldwin, John R. & Yan, Beiling, (2010), “Export Market Dynamics and Plant-level Productivity: Impact of Tariff Reductions and Exchange Rate Cycles,” Economic Analysis (EA) Research Paper Series 2010063e, Statistics Canada. Berman, Nicolas & Martin, Philippe & Mayer, Thierry, (2009). “How do different exporters react to exchange rate changes? Theory, empirics and aggregate implications,” CEPR Discussion Papers 7493, C.E.P.R. Discussion Papers. Economists argue that more educated individuals are more efficient producers of health and more educated parents are more efficient in producing healthy children. Knowledge helps parents make informed decisions on their children’s nutrition and healthcare. It influences health-related behaviors (such as smoking, drug abuse, binge drinking) and lifestyles (e.g. physical exercise), and parents’, in particular mother’s, health behavior and lifestyle impact child health (e.g. birth weight). Parental education is also the most basic component of socio-economic status, which according to epidemiologists is the key determinant of own and child health (Adler & Newman, 2002). Further, education may affect attitudes towards gender equality empowering women (Mocan & Cannonier, 2012). Because mothers are often the primary caregiver for infants and young children, their empowerment is likely to channel family resources towards mother- and child-wellbeing. Economists, however, also quibble over empirical evidence to support these hypotheses. Because genetic endowments are a key determinant of a child’s health, it is challenging to provide convincing evidence that the simple association (correlation) between parental education and child health, documented in many studies, implies causality: that parental education improves child health. Arguably, heritable ability may result in more able women seeking higher education and having more able children who have better health (Behrman & Rosenzweig, 2002). Further, future orientation may cause mothers to acquire more education and invest in their children’s health (Fuchs, 1982). Similarly, establishing causality between mother’s education and early marriage, early child-bearing, and fertility outcomes is a challenge because low level of empowerment and high dependency may result in women marrying early and having children thus forgoing education. This is an important issue in many Middle Eastern countries where marriage and child bearing in adolescence are high. For instance, according to the Turkey Demographic Health Survey 2008, approximately 17% of ever-married women aged 20-45 in Turkey are married before the age of 16 and 13% have a child before they turn 17. In a recent study, we used a “natural experiment” in Turkey to study the causal effect of education on women’s fertility, empowerment, and their children’s health (Dinçer, Kaushal, and Grossman, 2013). In 1997, Turkey passed the Compulsory Education Law that increased compulsory formal schooling from five to eight years. 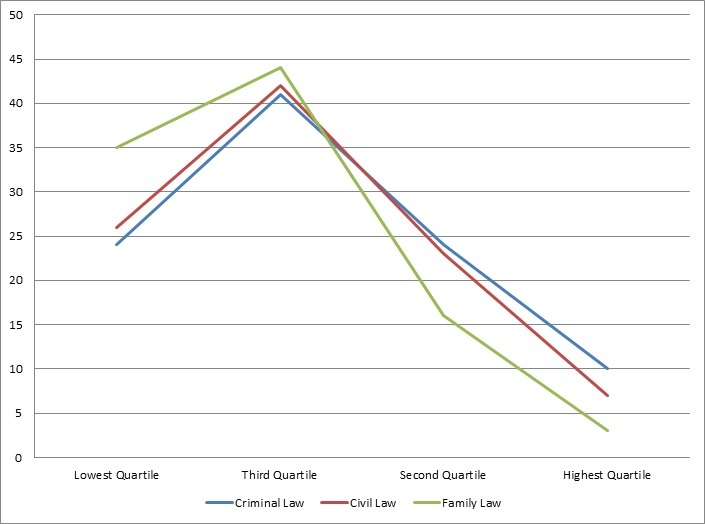 Individuals born after 1985 (who were 11 or less in 1997) were the target of the law. To accommodate the expected increase in enrollment, the government devoted additional resources on school infrastructure and in hiring new teachers and these investments varied across the sub-regions of Turkey. In our experiment, we formed a treatment group of women who were born between 1986 and 1990 and were affected by the legislation and a corresponding comparison group of women who were born between 1979 and 1985 and were not affected. We took advantage of variations across cohorts in the number of primary school teachers in the sub-region of residence at age 11 to construct an “instrument” that we applied to predict the educational attainment of young women resulting from the Compulsory Education Law. 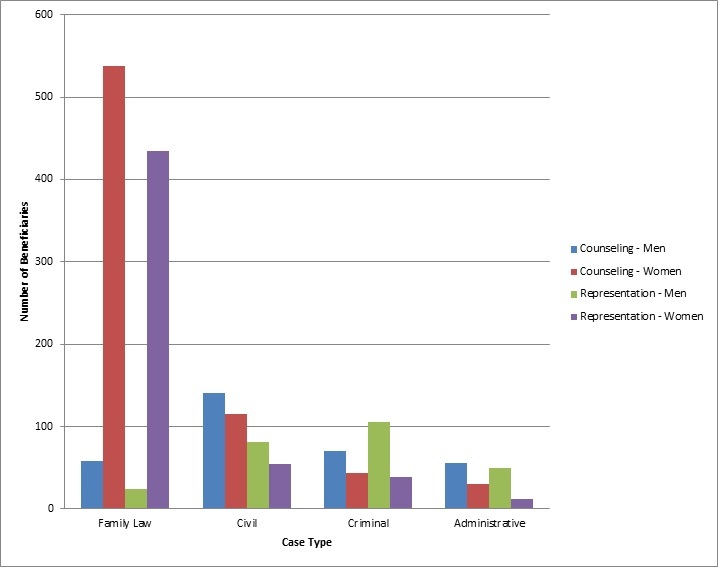 The predicted education variable, which is independent of heritable traits and a future orientation, is then used to estimate the effect of education on a variety of outcomes experienced by the treatment group of women and their offspring from information obtained when the treatment cohort was between the ages of 18 and 22 and the comparison cohort was between the ages of 23 and 29. We find that a 10 percentage point increase in the proportion of ever married women with eight years of schooling lowered the number of pregnancies per ever-married woman by approximately 0.13 and the number of children born by 0.11. 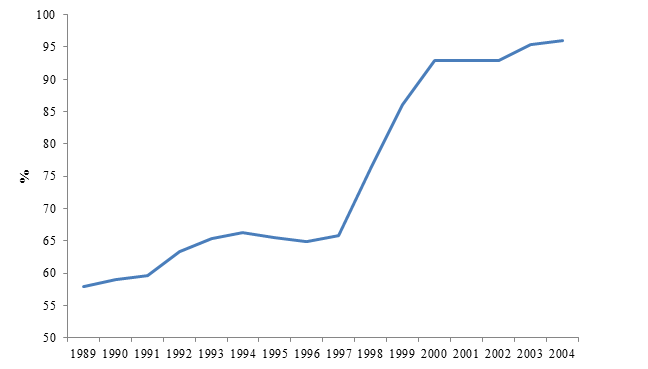 There is also some evidence of a decline in child mortality caused by mother’s education. Further, our analysis shows that a 10 percentage-points increase in the proportion with eight years of schooling raised the proportion of women using modern family planning methods by eight to nine percent and the proportion of women with knowledge of their ovulation cycle by five to seven percent. However, we find little evidence that schooling changed women’s attitudes towards gender equality. From this we infer that the decline in fertility and child mortality (in some models) that we observe could not be on account of changes in women’s attitudes towards gender inequality resulting from increased education. It is more likely that the decline in fertility and child mortality that we observe are on account increases in age at first marriage, age at first childbirth or increased use of contraceptive methods and improvements in women’s understanding of their ovulation cycle. It might be that attitudes are slow to change and that the content of education in classrooms is an important factor when it comes to changing attitudes. Adler, Nancy E., and Katherine Newman. 2002. “Socioeconomic Disparities in Health: Pathways and Policies.” Health Affairs, 21(2), 60-76. Behrman, Jere R., and Mark R. Rosenzweig. 2002. “Does Increasing Women’s Schooling Raise the Schooling of the Next Generation?” American Economic Review, 92 (1),323-334. Dincer, Mehmet Alper, Kaushal, Neeraj, & Grossman, Michael. 2013. “Women’s Education: Harbinger of Another Spring? Evidence from a Natural Experiment in Turkey.” NBER Working Paper No. 19597. Fuchs, Victor R. 1982. “Time Preference and Health: An Exploratory Study.” In Economic Aspects of Health, ed. by V.R. Fuchs. Chicago: University of Chicago Press, 93-120. Mocan, Naci H., and Colin Cannonier. 2012. “Empowering Women Through Education: Evidence from Sierra Leone.” NBER Working Paper 18016.